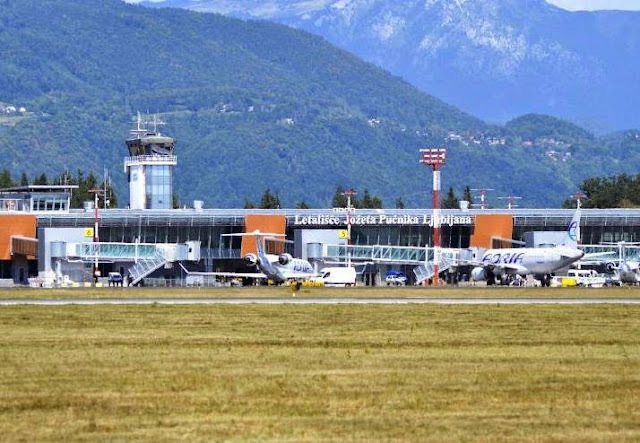 The Slovenian government has adopted plans to subsidise airlines for the launch of new routes to and from Ljubljana's Jože Pučnik Airport in an attempt to improve the country's air connectivity by 2021. The Slovenian Tourist Board recently launched tender procedures aimed at advertising and marketing services which will be provided on behalf of airlines establishing new flights to Ljubljana from markets deemed to be "of strategic importance for Slovenian tourism". This will also include subsidies for airlines increasing frequencies on existing services. The state-run Tourist Board will provide 150.000 euros in marketing and promotional activities on an annual basis for each new route launched, while 90.000 euros will be offered to airlines increasing frequencies on existing flights. Slovenia has identified a number of countries as being of strategic importance to the country's tourism industry and from which air connectivity should be improved. These include Germany, Finland, the United Kingdom, Russia, Italy, Sweden, Norway, Spain, Israel, Ukraine, France, Belgium, the Netherlands, Luxembourg, Denmark, Lithuania, Latvia, Estonia, Japan, the United States, as well as Gulf Cooperation Council member states - Bahrain, Kuwait, Oman, Qatar, Saudi Arabia and the United Arab Emirates. The operator of Ljubljana Airport, Fraport, has welcomed the subsidy plan noting, "Attracting new carriers is a continuous and never-ending process. We are constantly in discussions with at least fifteen airlines". Fraport believes there are several markets from which new nonstop flights could be established to Ljubljana. "These are mainly from Northern Germany, the United Kingdom, Arab countries, Scandinavia, Spain and Italy. A more diversified network of direct flights is unrealistic, since it is not economically viable for carriers in the given circumstances", the operator said. This summer season, foreign carriers will boost their presence in Ljubljana. British Airways will launch operations from London Heathrow Airport with its Airbus A321 jet, while Air France HOP! will add an extra weekly flight for a total of ten and increase capacity from the Embraer E170 to the E190 jet. Furthermore, Aeroflot will up capacity from the Sukhoi Superjet 100 to the Airbus A320, while LOT Polish Airlines will maintain all of its services from Warsaw to Ljubljana with its Embraer jet-engine fleet instead of the Bombardier Dash 8 Q400 turboprop. Adria Airways suspended flights to both Moscow and Warsaw over the past year. Interesting. This could work. The subsidies are not that high but it could be the push needed for an airline to start a new route to LJU. When the market cannot supply enough feed for their plane, a subsidy of this small fraction of huge airline costs will not matter. LJU is simply too small for many big flights. Watch Adria become the biggest beneficiary. Which new airline could Ljubljana realistically get? We could finally see Ryanair! I fear these subsidize are way too low for what Ryanair would ask for. I think that the government should launch such iniciative from Maribor instead. MBX is a dead project. I agree. And that is the main reason for my comment. An airport without flights needs help from the government to change that. With LCCs it is not that hard. There are many such examples in this region. LJU on the other hand has no such problems. More and more countries seem to be resorting to subsidies. I do like how countries disguise subsidies in "Advertising and PR promotion"
Qatar Airways said they will announce the launch of 8 new routes in the second half of 2019 so fingers crossed Ljubljana will be one of them. Its around 80% confirmed that quatar will announce Ljubljana in the second half of 2019! Finally! Annon 9:13 is this correct? This would really be great. Anony O9.13 who is the source of your information? I know new destinations are in the Baltics but never heard of Ljubljana. Would be a nice surprise. How can something be 80% confirmed. Eider it is confirmed or under negotiation. There is no such a thing to be 80% confirmed. 80% confirmed hm its like half pregnant? Great news for Ljubljana Airport. I'm hoping Vueling or Iberia start flights from Spain if Adria doesn't want to. I agree. I think Spain is underserved from Ljubljana and I also think there is potential for more flights to the Scandinavian market. Adria and Vueling already flew to Spain and it didn't work out. True, but times have changed a lot since then! When i was flying vce-mad the plane was filled with slovenes! Exactly, times have changed. Hoping for Iberia. Vueling has dropped dozens of Central and Eastern Europe destinations the last three years. Not enough crews and not enough profits. better as Vueling would be Volotea! I'm still disappointed Athens didn't work out with Aegean. They were a nice addition. Maybe they could try again now with this financial assistance? If they sent Dash 8 it would have worked. I'm sure if JP gave it another shot, it would work this time around. They last flew the route during the financial crisis. So Aegean flew LJU with A320? It's odd because they operate all new routes in ex-Yu with Q400s. Strange they went for the A320 to Ljubljana. I believe ATH could work with Aegean as I flew from LJU via BGD to ATH last summer and there were a lot of connecting passengers on board. Can Q400 make it from ATH to LJU? This is good news for Ljubljana Airport which needs more destinations and airlines. Could LJU reach 2 million this year? It depends what happens with Adria. With 27 Adria weekly flights less than last year (20% of all flights) and 9 routes terminated hardly! Norwegian please considers some of those Scandinavia routes. They said ages ago they were interested in flying to LJU but since then nothing. I see potential for SAS launching flights from either Copenhagen or Oslo. Especially since they are Star Alliance and could cooperate with Adria. Adria already flies CPH-LJU; why wouldnt SAS consider ARN or OSL instead of competing against Adria on CPH? SAS doesnt even fly to VIE - and they have a very much larger Star Alliance hub in Austria. Yes, but with competition being the way it is in VIE, it's good for SAS that they're not there. LJU makes more sense for SAS than Norwegian since they have aircraft of smaller sizes, whereas Norwegian's aircraft are too big. Just a few years ago Adria used to serve a lot of those market LJU is now looking to connect to. As i said above, times have changed a lot and adria flew those markets during financial crisis, now Slovenia has one of the strongest economic growth in the region and it could easily sustain those markets year round! And that is why so many new companies comes to Ljubljana. Nooot! And why Adria cancel 27 weekly flights and 9 routes. And why Slovenia has to pay for companies to fly! Eurowings had LJU on that 'you vote we fly' thing. I hope they eventually launch it. They announced flights to LJU in 2017 but then cancelled their plans. Same as for Skopje. Eurowings sells JP flights on their webpage. Stockholm, Cologne-Bonn, Madrid/Barcelona, Milan/Rome, Oslo, Manchester, Liverpool, Glasgow and Dublin could all work from LJU. Vlada će subvencijama pomoći aerodromu u vlasništvu strane države i privatnim aviokompanijama. A da su slučajno subvencionirali aerodrom ili Adriu dok su još bili državni svi bi se digli na stražnje noge. Od Europske komisije do domaćih desničara. easyJet should launch new routes. Lots of prospects for flights from LJU to anything north of London. Definitely - Manchester in particular. It's only served seasonally by JP. Yes. UK should be a market they should focus on. LCCs now fly double daily to Ljubljana from London. It's obviously a growing P2P market. Who would have thought that London would be the number one destination from Ljubljana with four airports being served. just keep on grow on number of flights out of all of this airports. DUB? or additional airport from GB? Why not include Maribor in the subsidy scheme? The Chinese have already given advanced notice that they are leaving. Maybe it is FINALLY time for Wizz Air to increase it presence in Ljubljana. They have been flying the same two routes for many years. I don't think there has been a market W6 has served for longer and made the fewest changes then Slovenia. Yes, shame Wizz Air isn't more active. I don't understand how Wizz does not see potential to launch new routes from LJU. There are many potential destinations they could launch. I really wish new airlines will start flying to LJU with new destinations, as there sure is a lot of potential...as passengers are avoiding LJU despite being so well positioned geographically. It would be interesting to see the percentage of Slovenes using Trieste, Venice, Zagreb and Klagenfurt. Anyone have some statistic? Trieste 70k, Venice probably around 200k, Zagreb probably around 200k too, Klagenfurt maybe a thousand or two. Trieste had around 10% of all pax Slovenes in 2017 if I remember correctly. Thanks. That is actually a very high number LJU is loosing there. It has a very competitive environment. LJU needs to start advertizing in ZAG especially for flights operated by LCCs. Good that they are starting to prepare for the inevitable end of the Adria story which is fast approaching a collision with reality because then Ljubljana will suffer as well. Someone should try Canary Islands once a week.There is a season all year round but price should not be too expensive. CLJ, LWO, RIX, VAR, KRK, KIV, SKG, LYS, BHX, MAD could all work from Ljubljana. Really good choice of destinations. Ma nemoj??? To si zaključio na temelju nekih demografskih, gospodarskih i inih statistika ili ti samo mačka skočila na tastaturu? Zašto bi išao CLJ, kad OTP nije? A zašto ne TGM umjesto CLJ? Ili SBZ? Zašto bi išao LWO kad KBP nije, a na LJU-WAW ih je LO izgurao s jednim letom dnevno. Itd. itd. Can we expect maybe to get TAP flights to LIS or Volotea flights or even second destination for transavia? Second route with Transavia would be awesome fantastic. Time for Air France to upgrade LJU from HOP to mainline. Good to see that foreign airlines will also be adding flights. Israel, Denmark and Qatar will definitely work and will see huge demand. But in general, I think there is no demand from/to the Gulf. Although it would be quite interesting to see: Gulf Air & Royal Jordanian (love their liveries to bits). ET is one of the best airlines (if not the best) in Africa and the world. It was established in 1946. I think Slovenia can try and hold new talks to establish a route maybe via Rome. They have great planes and excellent prices, too. LOL, I think LJU should aim at getting connected to more EU capitals before going after Singapore, Addis Ababa or Nairobi. Attracting more and more LCCs is the best way to compete against Zagreb and other surrounding airports at the moment. And also the best way too boost passengers numbers without depending on Adria. Well I think LJU's recent growth only goes to show that the airport is finally learning how to attract the market around it. I hope you are aware that the airport is privatized and the operating company has more concerns than having more passengers, making money! You can cheer for government owned airports like supporting your village's football team but the reality is quite different when it comes to business. I would love to see an LCC takeover some monopoly routes by Adria. Vienna with Wizz Air would be nice. You can’t compete on LJU-VIE with A320. You would need at least two daily and there’s just not enough demand. If there is a demand one of those LCCs would already have started. LJU doesnt work out for them. Ma ajde brate. Koja VIE???? Iz Ljubljane dođeš u centar Beča za 4 sata. A sad računaj. Najmanje pola sata na aerodrom, sat i pol ranije tamo. Letiš 45min, pa opet u grad. Dođe ti isto. Take a chill pill Athos. You’ve been out of the roof today. How do you get out of the roof? I think you will be waiting for quite a while. Apparently government decided not to cover the required 10M for Adria this time, but follow a cheaper way to handle the mess following expected bankruptcy. Though I'm not sure if 90,000 Eur would be enough for carriers to replace the routes from Adria. Wow. A genius here. Would love to see whats his/her motive to spread such irrational junk arguments again and again. These increased subventions across the region (LJU, INI...) could be an indicator of airports struggling to attract more business at a time when European economy is slowly starting to cool down. Don't know how smart it is for airports to promote such expensive business models. Better stick to what you have and try to grow organically. The only way this could work is if LJU wants to bring back some passengers that switched to other neighbouring airports. If that's the case then it makes sense. Organic growth doesn't come easy for smaller airports. You know quite well, where LJU is located geographically and also close to a wealthy, Italian region home to 2 important airports. In the same time, Slovenia neighbours Croatia which receives approx. 12 million passengers. They will be then forced to do something hence to subsidise routes. Other EU capitals dropped their airport taxes and "made losses" during the first year or so but were quickly recovered after growth went up. I am sure that Fraport will do a good job but just need time. I think the airport will grow significantly after the terminal is finished. €10 per passenger fee is valid for general aviation flights (business and private flights) only. PSC for O&D passengers on commercial flights stand at €16 at LJU, and €2 for transfer passengers. That's why I said that if they are subsidizing flights in order to recapture lost traffic then it makes perfect sense. However, if they are subsidizing for the sake of creating demand then it might swing either way. However, if European economy is indeed slowing down and if we are heading for yet another recession then maybe it's time to see how they can make their business model more lean and to reduce risks by as much as possible. I am starting to believe that JP going bust might be the best way forward for LJU. It would be like dumping a great deal of baggage. Well the European economy is slowing down in general, yes but it also depends on the country. Also, Slovenia was not that heavily affected by the previous crisis of 2009-2010 compared to other countries like Spain and Greece. JP going bust or no, we don't know. This has been repeatedly said and as you see, they have their ways to survive. Should this happen, traffic will grow even more just like what happened with Malév. The existence of a bigger airline is always not a good thing.